Miyazaki Japan – Miyazaki is quite a lesser known area of Japan, however, it’s one that definitely should be on your itinerary especially if you are visiting in the warmer months. 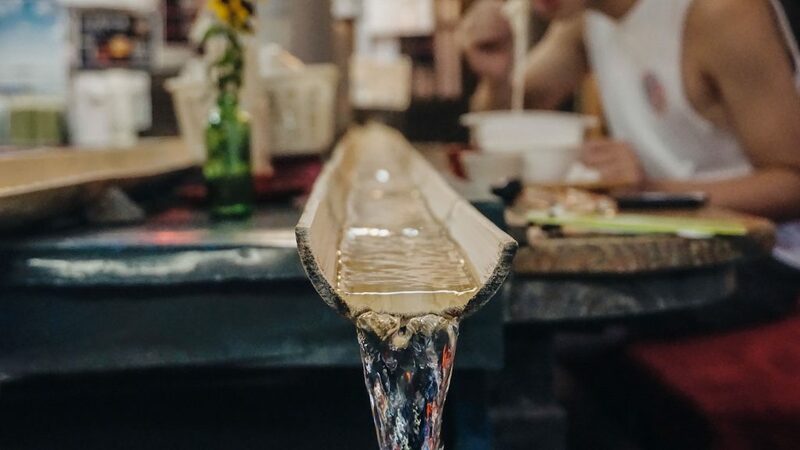 Located on the south-eastern coast of Kyushu, it’s warmer climates means that it generally does not get as chilly as other regions of Japan during the cold seasons, but in summer, it gets quite hot and rainy. 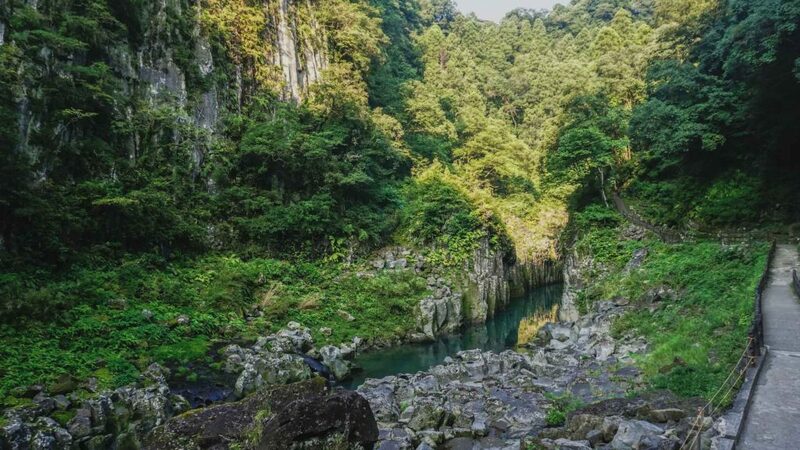 However, this just means that the countless natural landmarks within and around Miyazaki can be visited over more months of the year than most places (as they’ll most likely be covered in knee-deep snow!). Being situated right next to the waters, Miyazaki is full of things to discover. Imagine driving along wide stretches of the highway with the city on one side and the ocean on the other – it sounds amazing, right? Because it is, especially if you happen to be passing through during sunset. Miyazaki is an area where you can expect to travel not even one hour out of the city before you’re looking ahead at long stretches of roads and behind at enormous mountains that take up your entire rear-view mirror. Some bridges you drive will pass over gushing rivers and some roads will wind you all the way up to the top of mountains, only to come back down again. It’s truly an experience just to travel on the roads of Miyazaki, and it’ll transport you to a completely different side of Japan. Miyazaki Japan – How To Get There? From Tokyo, the quickest way to get to Miyazaki would be to fly. This can sometimes also be the cheapest option as well, depending on the season. Jetstar often has the cheapest tickets, with fares starting from 5,000 yen per person, one way, from Narita International Airport. The flight will only take 120 minutes. 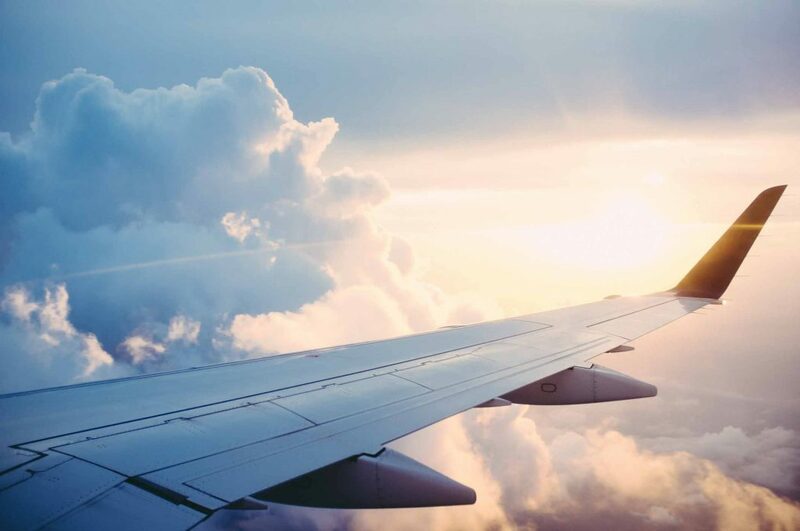 However, you will need to take into account the cost of getting to and from the airport before making your decision if you’re taking your budget into consideration. Otherwise, you can also take the Shinkansen trains there. From Tokyo, take the JR Tokaido/Sanyo/Kyushu line to Kagoshima. You will need to transfer at ether Shin-Osaka or Hakata Station. From Kagoshima, hop onto the JR Kirishima Limited Express train to Miyazaki. If you’re a holder of the JR Pass, you will have to use the Hikari or Sakura trains. The trip will typically take between 9.5 – 10.5 hours, and cost 32,000 yen per person, one way. From Osaka, again, the quickest way to get to Miyazaki would be to flight. Peach Aviation flies from Osaka to Miyazaki often, and prices are often cheaper than other airlines. They will begin at roughly 5,200 yen per person, one way, for a 65-minute flight from Kansai Airport. Another option to get to Miyazaki is to take a highway bus. Kintetsu Bus is a company that frequently operates between Osaka and Miyazaki, and prices will begin at 10,500 for one person, one way (with children costing half the price). The trip will stopover a few other stops along the way, and will take roughly 13-hours. Miyazaki Japan – Where To Stay? The Little Garden is a guesthouse on paper, but in real-life it’s so much more. 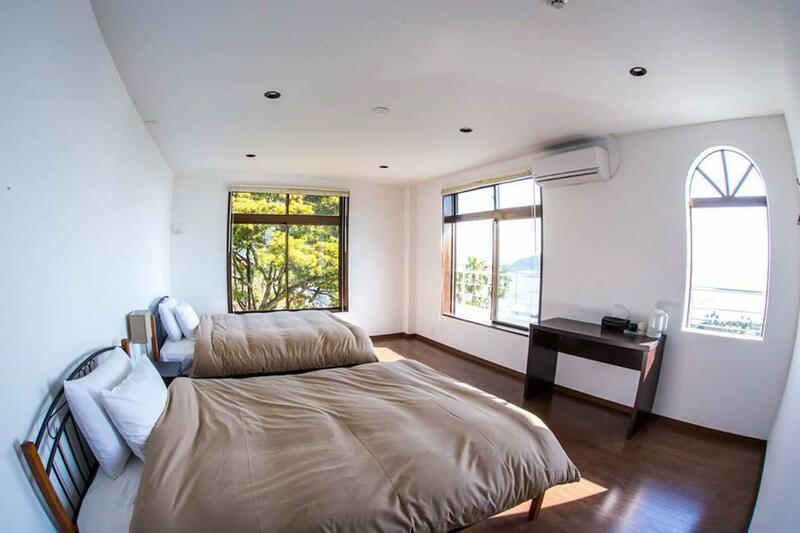 Situated next to the ocean, with some rooms offering exquisite views of the water, you’ll feel right at home in this quaint little accommodation. It offers both western and traditional Japanese bedding options, and you’ll absolutely love the extra care taken to ensure maximum natural light fills the room during the day. It has a clean, modern feel about it, and services such as free Wi-Fi and luggage storage options are available for your convenience. There are shared bathrooms, air-conditioning in all rooms, and some come with a resting area. Warm wooden tones mixed with simple modern furnishings come together in this perfect amalgamation to present to you one of the most beautiful hotels you will ever stay at. The most common praise heard from past patrons is “This hotel is simply stunning”. 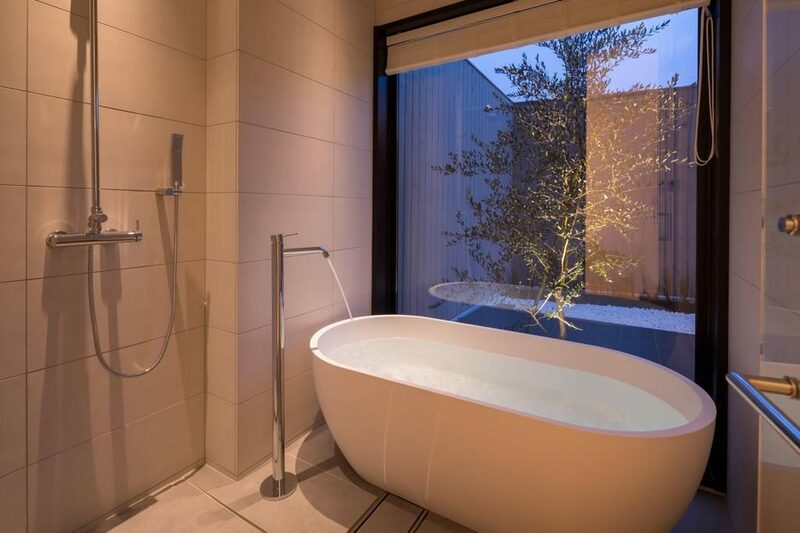 The overarching feel makes you feel like you’ve landed in a Nordic country, yet there is something quintessentially Japanese about the lowered furniture, massive windows by the bath, and exceptional hospitality of the staff. This hotel offers air-conditioning throughout all guest rooms, and the private bathroom with free amenities is just pure delight. The place is so well-presented that you might not even want to leave to explore! 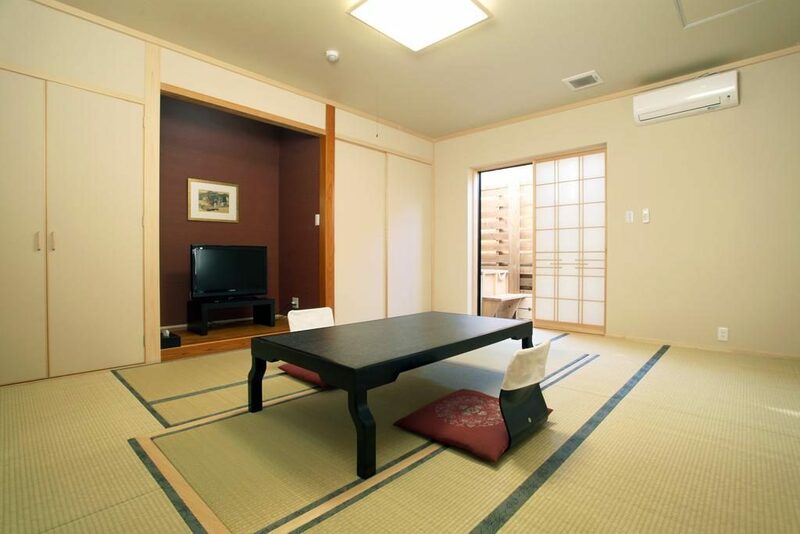 This ryokan is comfort and style at its best. 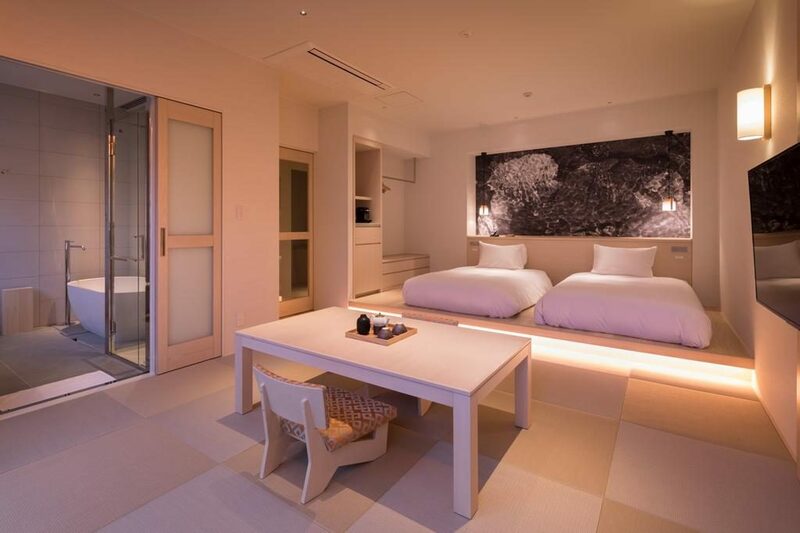 Whilst it is essentially a ryokan (traditional Japanese Inn), complete with tatami mat flooring and shoji (sliding paper doors), in some rooms, you will be treated to comfortable western style bedding. 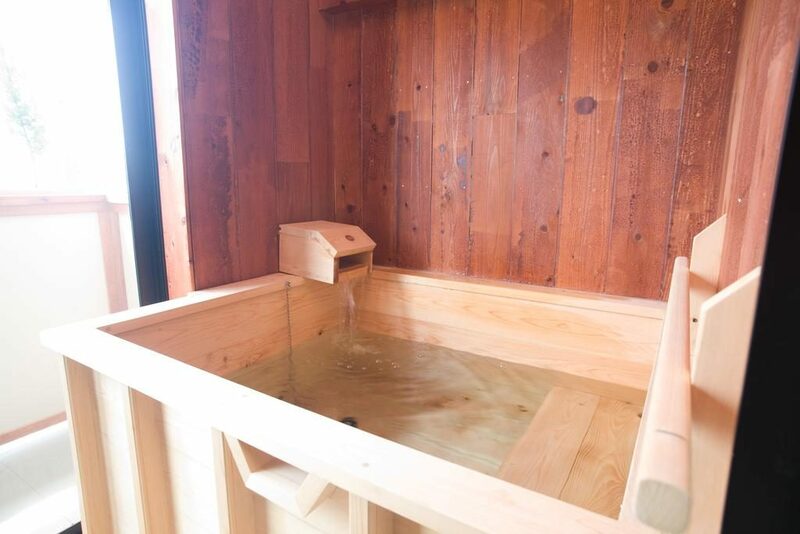 There are also certain rooms that will provide you with an open-air bath, which is quite an experience, and is one of the most highly rated features of this ryokan from past guests. Air-conditioning and free Wi-Fi means that your basic creature comforts have been taken care of, so you can just relax and enjoy your time here. Miyazaki Japan – What To Eat? Miyazaki is full of wonderful foods to eat. 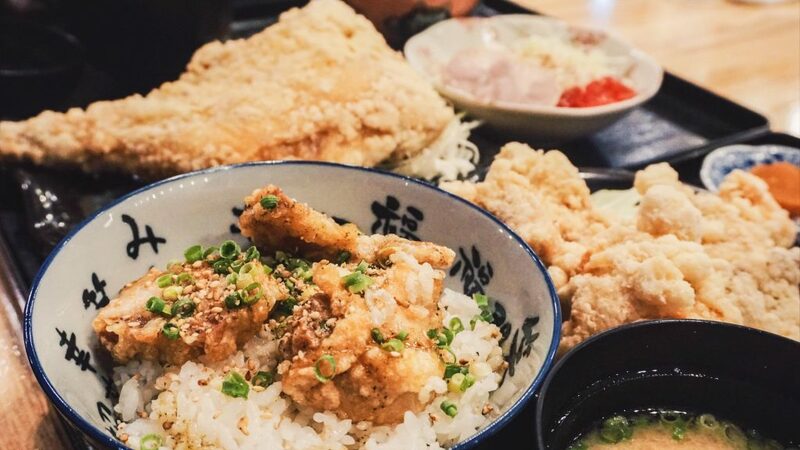 As with most regions across Japan, their take on classics like ramen, izakaya, and even karaage chicken has a slight but obvious Miyazakan vibe and taste about it. This is a fried chicken dish that it uses tempura batter. Generous pieces of chicken fillet are dipped in tempura wheat flour instead of corn-starch. In many shops, they’re eaten as a side dish, but for the restaurants that specialise in toriten, they’re served as part of the main meal. One of the most popular styles is toriten udon – udon noodles with slides of toriten as the topping. 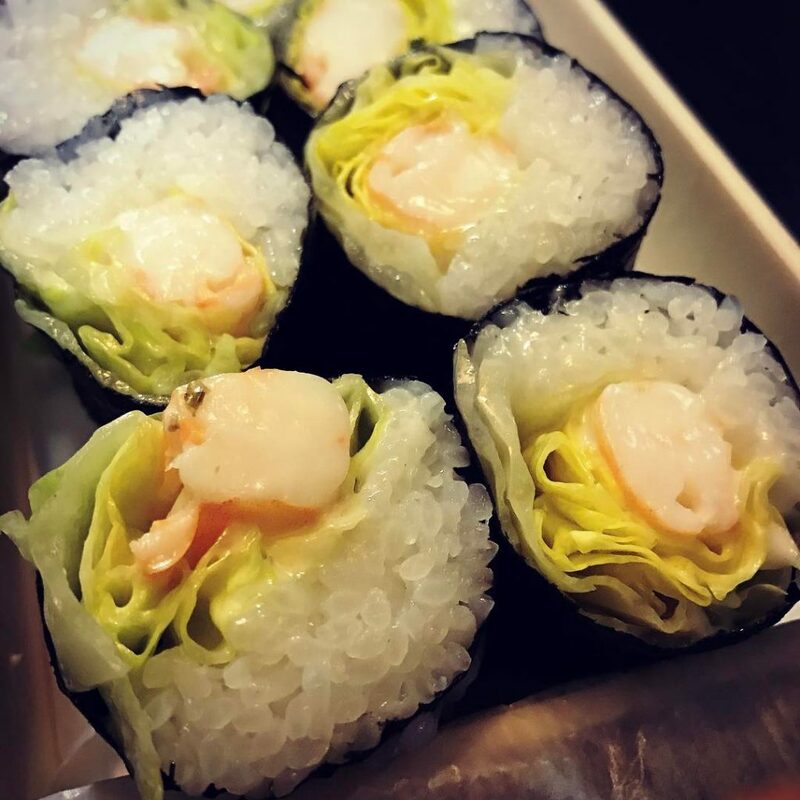 This may seem redundant as shrimp, mayonnaise, and lettuce filling sushi rolls are extremely popular across countries outside of Japan, but what most people may not know is that it has been hailed as originally from Miyazaki itself. This dish is one of Miyazaki’s specialties, and can be found across supermarkets and restaurants across the region. 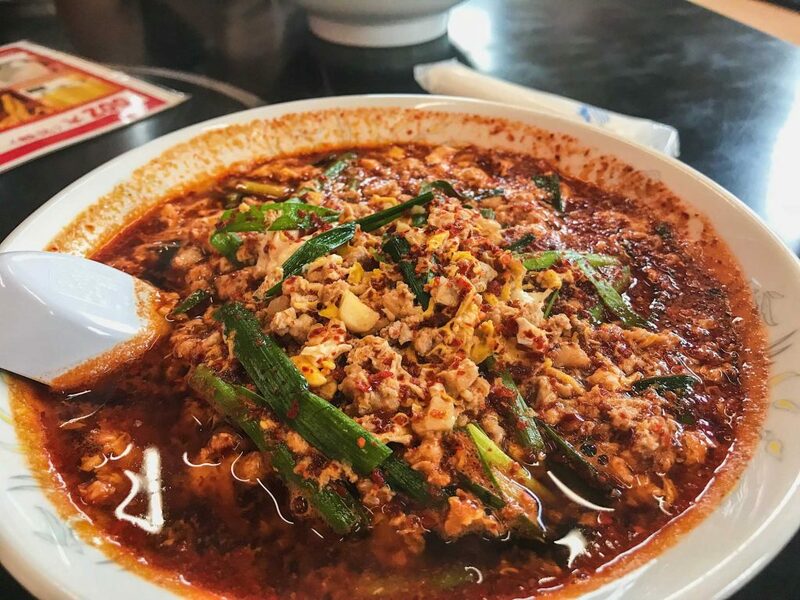 In the neighbouring city of Miyazaki lies Nobeoka, still within the Miyazaki prefecture, and its local special dish is called ‘karamen’, a spicy noodle soup with a secret (garlicky) base. In it you will find hot peppers, garlic, chives, and ground meat with an egg mixed in to make the soup. There are, of course, additional items you can add into your meal, with multiple styles of noodles to choose from (konjac, thin ramen, or udon), and a staggering 25 levels of spice to choose from! 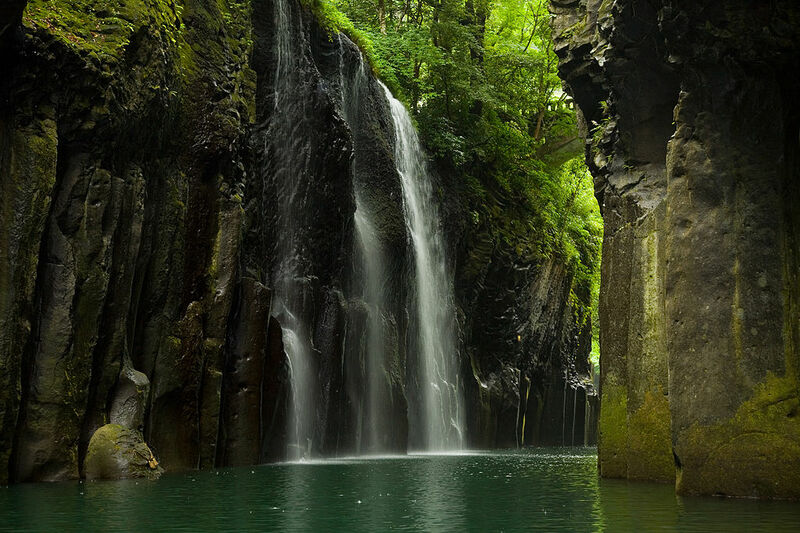 Across all of Japan, the moment you mention ‘Takachiho Gorge’ you will hear a succession of ‘ohhs’ and ‘ahhs’. This gorge is popular across the entire country because of its renowned beauty, and it’s also a popular tourist destination because within the area alone, there are many activities to do and features to see. If you’re an outdoor person, you will love this place. And if you’re not, but you can appreciate beautiful scenery, you will love it too. Most people drive here, as it is rather in the middle of nowhere. 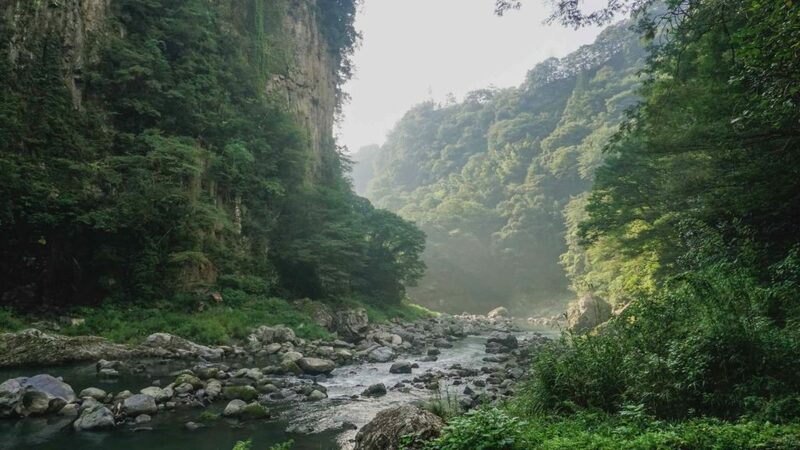 It’s also possible to take a bus from Takachiho Town or a taxi, but we advise driving as you will need to descend from the roads down to the bottom of the gorge area, and hiking back up will be rather tiring! Takachiho Gorge itself is stunning. It is a narrow chasm through the cliffs of Gokase River, and offers plenty of viewing areas for you to watch the gentle waters flow by. Towards the middle, there is a stunning 17m waterfall called Manai Falls which you can view from the observation deck along the path that winds along the river. This particular path goes for roughly 1km, and ends up at Takachiho Shrine. Along the path, you will see massive rock formations on one side and luscious vegetation on the other. There are plenty of opportunities for you to take photos along the way. Also at the gorge are activities such as a freshwater aquarium (a great option for kids! ), a stocked fishing pond, and souvenir shops to purchase some memorabilia. Access: From town, it is a 6-minute drive. Otherwise, you can catch a taxi, or else walk 30-minutes to the gorge area. 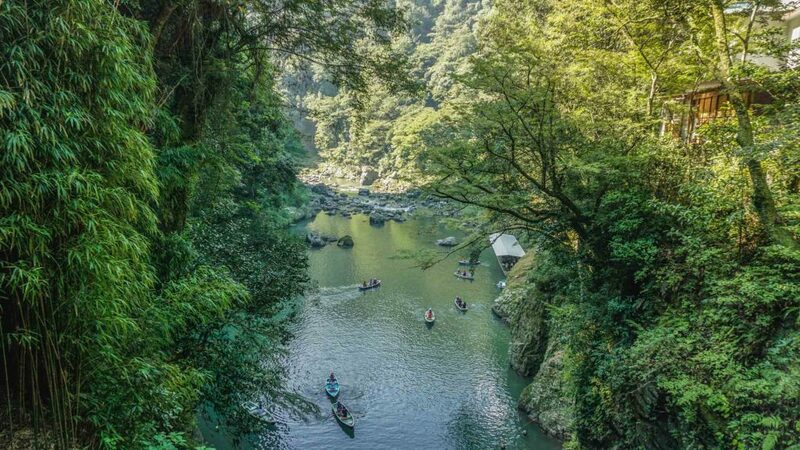 You should definitely look into the above activities, but to truly experience Takachiho Gorge, you have to row the boat through the middle. It is the thing to do if you want a truly memorable experience as well as scenery you just can’t get from the top level down. The boat rowing ticket station is just on the other end of the car park, and it will cost 2,000 yen for one boat which can fit up to three people. You will then head downstairs, (try and appreciate the views as you descend because the gorge is simply exquisite from this angle), give your ticket to the boat operators, get directed a boat, and then off you go! No one is there rowing your boat for you, you actually it yourself, but don’t worry, it’s super easy once you get the hang of it, and there will be plenty of other people on the same boat as you (get it?). For half an hour, float along the river in complete bliss and as you get closer and closer to Manai Falls, stop for a second (or a minute) to just admire how amazing it is up close. Be mindful that sometimes they will close off the boat rowing activity on the day due to high levels of water from previous rainfall. You may not find out until you get there, as they put out the sign during the morning when they open up the car park, so our advice would be to check that it is not raining a few days before you head there, and also to get there early to get a car spot and also organise your day should the boat activity be cancelled (knocs on some wood!). Access: You can purchase a ticket to rent a boat at the end of the car park. Once you’re done with exploring Takachiho Gorge, make sure you head to the restaurants nearby for some nagashi somen! Nagashi somen is the National Summer Dish of Japan. It is eaten via catching flowing portions of somen noodles which float in water along bamboo poles. For those you cannot catch, they end up at the end in a basket, and you can lap it up afterwards. A special somen noodle sauce is provided to you, which is absolutely amazing! Chiho No Le, the restaurant near the gorge, is renowned for this crazy fun eating experience. It’s also located only a few minutes walk away from the gorge and the car park. Head inside and make sure you request for the flowing somen noodles (there are also other items on the menu you can order, such as onigiri and grilled fish). Once you’ve settled down, the little ladies will go and prep your meal, and then head inside a little kitchen area to slowly release portions of the somen noodles for you to catch with your chopsticks. Access: Head outside of the car park, and turn right when you see a row of restaurants. 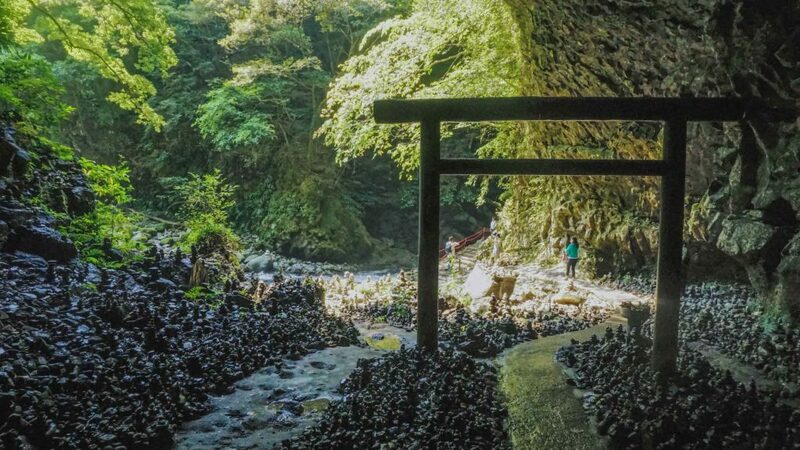 Many people visit Takachiho gorge and then head to Takachiho Shrine afterwards, but don’t realise that only a 10-minute drive away is Amano-iwato Shrine and Amano-Yasugawara, which is a holy rock cave nearby that is so unique, you may never have seen anything like it before. To get there you, you will need to park your car at the free car parking spot, and then head through a trail that will take you past the entrance of a temple, along the road, past some cafes and restaurants, down to a forest, over a bridge, along a flowing river, until you reach the shrine. This may sound quite long, but in fact, the walk should only take you between 10 to 15 minutes! The cave is filled with rocks that have been carefully piled up into small pillars all around the dark cave. The feeling is quite ethereal once you enter the cave, and there is a tori gate to pass through, but remember not to walk directly through the middle as that is where the Gods are said to walk; instead, walk through a little on the side. There is a wishing well box where you can pop some coins in and make a wish, and from the inside of the cave looking out, it’s incredible. Access: There is free onsite parking, otherwise, from Takachiho Bus Centre, hop on the bus bound for Iwato, and alight at Amano-Iwato. Morning people and people who hate waking up early, take note of Kunimigaoka, because it is one of the best places across the entirety of Japan to watch the sunrise. It’s especially gorgeous during mid-September to late November, as that is when the famous ‘Sea of Clouds’ is present during the morning, so when the sun begins to rise, you will see it slowly peak over an entire bed of fluffy white clouds, making it seem almost heavenly. Outside of those months, the sunrise is still incredible. 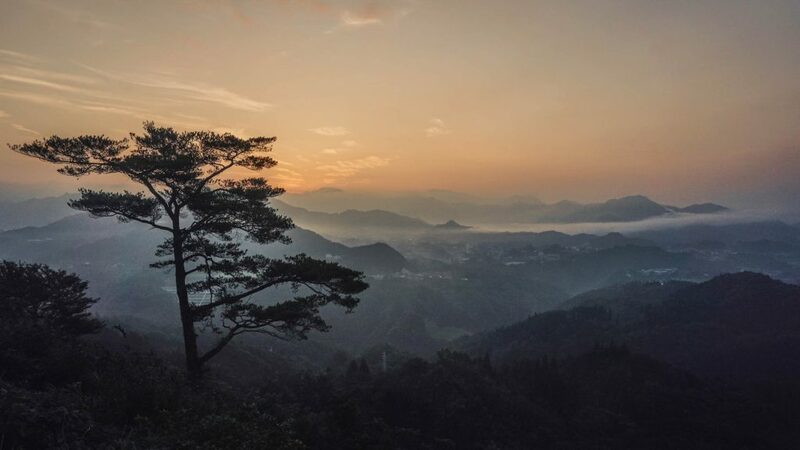 Due to the milder temperatures of Miyazaki all year around, the morning mist is quite prominent in the early hours of the day, even during summer, so you’ll still feel a sense of wonder looking out at the colourful sky with splashes of white mist amongst it. There is an observation deck there where you see a panoramic view of Mount Aso’s five mountain peaks, as well as the Sobo Mountain range. Otherwise, there is a wide area that can host crowds of people at a time. If you get there early enough though, it might just be you and nature as one for a while. Access: Free parking is available at the lookout, or you can hire a taxi to take you there. Keen for a day trip in a more secluded coastal area? 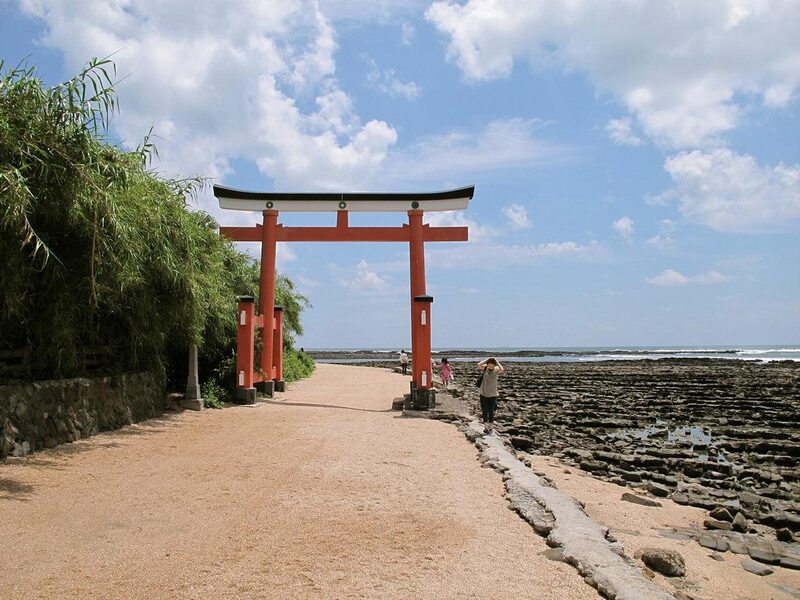 Aoshima Island, a tiny which is located just off the south coast of Miyazaki City, is a great day trip for those wanting to experience the sub-tropical climate of Miyazaki at its best. The Island and Miyazaki are connected via a bridge that you can walk across to. The island itself is a white-sand beach heaven, with a small jungle encompassing its centre. Aoshima Jinja is a colourful shrine situated within the jungle that will apparently bring good luck to married couples if they visit together. There is a peacefulness on the island that feels forgotten and reclaimed, and with the constant waves splashing in the background, you’ll feel a million miles away from home (which you might already be!). There are plenty of stunning photo opportunities on this island, and we recommend at least a few hours to explore this island, like the Oni no Sentakuita (‘devil’s washboard), caused by the shallow waters around the basalt rock formations. Access: From Miyazaki Station, take the train to Aoshima Station (30-minutes, 370 yen), and the island is just a few minutes walk from the station. 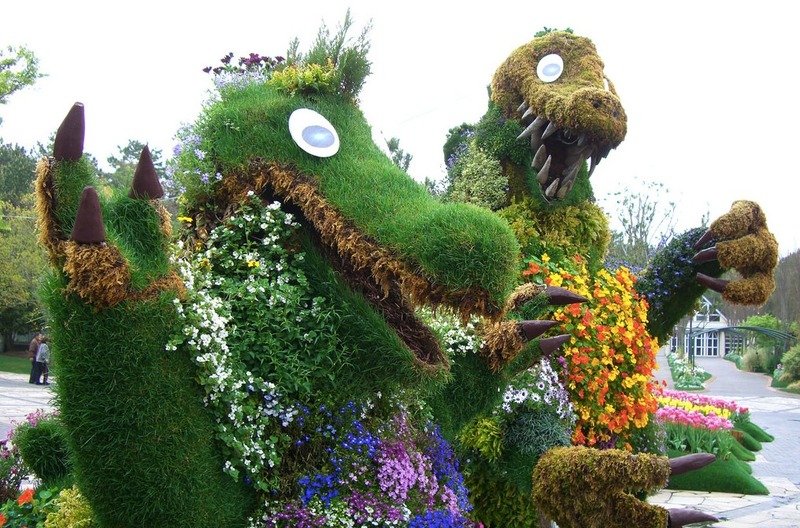 Japan’s flower festivals and blooming seasons are legendary. Whilst their Cherry Blossom season is without-a-doubt the most popular floral event across the country, they have nourished flora to bloom at almost all times of the year, and Miyazaki is no stranger to hosting an epic flower viewing platform. The Florante Miyazaki is a massive sprawling botanical park that always has fresh seasonal blooms on show. The beautifully manicured green lawns provide the perfect background for pictures, and if you’d like, you can even book in gardening lessons here. You’ll never know, seeing the perfect landscaping might inspire you! During the peak of the winter season, there are often no flowers, however, the entire place is lit up in a mesmerising illumination, and is quite popular with the local couples as a date idea. Access: From Miyazaki Station, catch the bus heading to Sheraton Grande Ocean Resort. Alight there, and walk 15-minutes to the garden. There is free parking on-site. 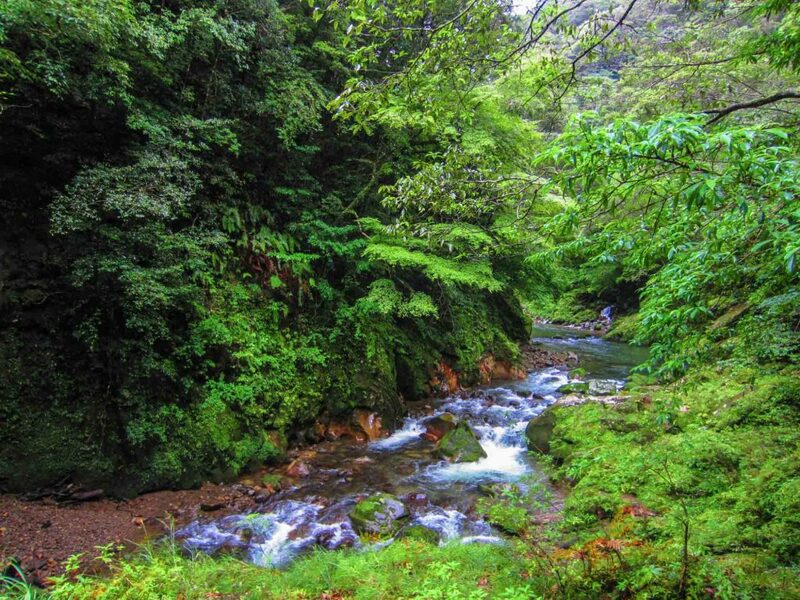 Just 15km south of Miyazaki City lies Kaeda Valley, possibly Miyazaki’s best kept secret. In Japan, it’s believed that a quiet atmosphere, a beautiful scenery of nature, and the feeling of being somewhere that’s untouched is soothing from your mind all the way into the soul, and if you have the time and pleasure of visiting Kaeda Valley, you will experience just that. ‘Shinrin-yoku’, the Japanese word for ‘forest therapy’, is the act of being amongst the trees, the sunlight, and the general outdoors to help you find happiness and health, and majority of the time, it results in benefits you can’t even begin to imagine. Kaeda Valley is a moderately forested area that has a dozen or so courses you can hike, from super easy to extraordinarily challenging. They range from just about an hour to taking the entire day, so you can adjust your visitation here to your schedule. There’s a BBQ area near the car park you can use, a swimming pool as well as a freshwater pool that’s safe for swimmers of all ages. The main walkway that’s taken by visitors is quite flat, so you don’t need to gear up in heavy hiking hear (unless you’re planning to do the more challenging hikes! ), so you can just have a relaxed day of exploration. Keep an eye (and your ears!) peeled for the various birds and monkeys that may come your way. 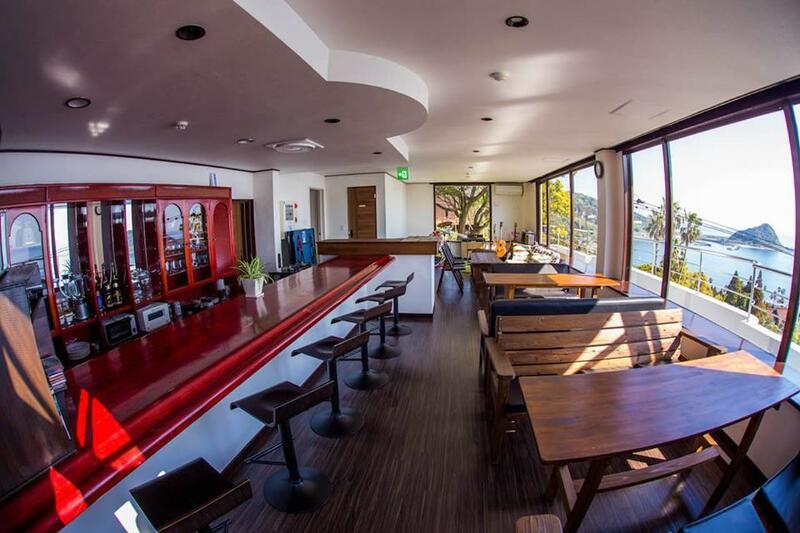 Access: It is a 35-minute drive from Miyazaki City, with free parking. You can also take a taxi there, but you will need to organise for a taxi to come and pick you up. Miyazaki is so surprising is so many ways, in the best way possible. You may not expect it to be as beautiful as described, or you may think that you’ve seen enough of Japan to be de-sensitised to the beauty of nature in this wonderful country, but once you’re out amongst the gorges and the mountains and the forests of this region, it will redefine your definition of beautiful Japanese nature.